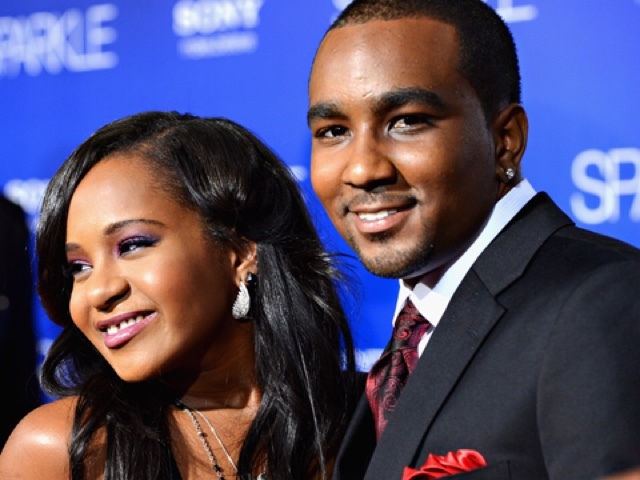 Bobbi Kristina Brown's boyfriend, Nick Gordon is being accused of beating and stealing money from the daughter of Whitney Houston and Bobby Brown. The new lawsuit claims Gordon allegedly dragged Bobbi Kris by her hair up a set of stairs, stealing money and knocking out her teeth, moments before she was found unconscious and face down in a bathtub back in January. The claims were filed earlier today, June 24, by her conservator Bedelia Hargrove, moments after it was reported Bobbi Kristina was being moved to a hospice. SEE MORE: BOBBI KRISTINA OFF MEDICATION "SHE'S IN GODS HANDS NOW"
“Today I filed a lawsuit on behalf of Bobbi Kristina Brown. I filed this lawsuit to pursue justice on behalf of Bobbi Kristina Brown. No human being, male or female, should endure what Bobbi Kristina endured,” “Pat Houston and Bobby Brown have done all they can to take care of Bobbi Kristina since this terrible tragedy occurred. I have worked closely with both of them and we all want the very best for Bobbi Kristina. This lawsuit represents our collective efforts to get justice for Bobbi Kristina. We pray that justice will be done for her and that it will be swift,” her statement concluded. The statement also alleges Nick Gordon transferred $11,000 from her bank account to his, after she was taken to the hospital in January. The lawsuit is seeking $10Million in damages.